Our theme last month was “Chaos” Describe what inspired you with your Chaos portrait. This image is actually just some simple iphoneography because it was such an unplanned moment I didn’t even have my big girl camera close by. My daughter is 3 and loves using her hands and making messes so that day I decided on a whim to let her make a mess all over the bathtub with washable finger paint hoping for an easy clean up (and it totally was). She made way more of a mess than I could have imagined and there was a minor meltdown when we turned the water on and had to say “bye bye paint” but it was one of her favorite activities. I really liked this image in color but as soon as I used my favorite photo app, PicTapGo, to turn it black and white, it became so much more. My favorite type of photography is actually something that I have yet to photograph myself. I grew up on second hand National Geographics that I would get by the box at garage sales and flea markets. Occasionally, I’d find one that I hadn’t read in the waiting room of a doctor or dentist office, smuggle it out, and return it months later (I still feel kind of guilty about this). I’d read every one cover to cover and stare at the pictures for hours. To this day, I’m completely drawn to and mesmerized by what I would call cultural portraits. My favorite cultural portraits are of those people who look like they were born of the earth. My favorite photographs that I create myself are from my Daydreamer series for children. I don’t do them very often but the time and creativity I get to pour into them makes me really happy. I love telling a tale full of magic and whimsy with a single image of a child. I studied children’s literature and creative writing in college and draw much of my inspiration for my Daydreamer images from my love of children’s stories. I think the next of my Daydreamer series will be something with both my daughter and I in it. I have no idea what it will be but I’m excited just thinking about it! And of course, I absolutely LOVE LOVE LOVE all my families and seniors. They are the meat and potatoes of my business and are so wonderful to work with. My daughter. Daydreaming. Being in nature. Real life moments. Children’s books. Most days are pretty unstructured. With my daughter starting early preschool in a week, that will definitely change! Depending on what I’m shooting, I’ll have one or two morning sessions and one or two evening sessions per week. Sometimes I’ll forget that I like to have a life outside of work and I’ll overbook myself but for the most part I stick to a workload that I’m comfortable with. Right now, the majority of my office work gets done during nap time and quiet time so I’m definitely looking forward to a few extra hours of quiet time each week while my daughter is at school. We love spending time outside and we live within a couple miles of some of the most beautiful beaches and trails in Michigan so there is always plenty to do during our daily outdoor time. Amelia Earhart. I’ve admired her since the 5th grade when I read 3 or 4 biographies on her and donned a faux leather bomber jacket and scarf for my speech project. I’m a huge believer in women creating their own identity in a society that still assigns strong gender roles and promotes an unrealistic image of how women should look and act. Amelia Earhart is such an icon in the history of women being completely awesome and I would love to photograph her. Everything. This was my very first photography conference so I was pretty inspired. One thing that left an impression on me outside of all the wonderful presenters, was how many photographers came with their photographer friends and how many presenters said they were friends with each other. I live in a small town in West Michigan and maybe it’s because I’m new to the business but I’m not familiar with any photography groups in my area and I don’t have any close friends in the business. 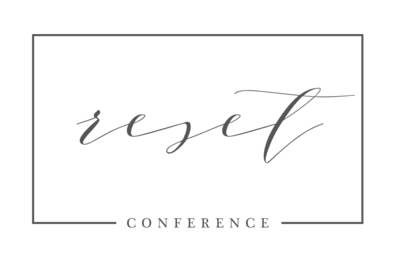 The conference inspired me to start looking at women’s groups, my local chamber of commerce, and photography groups that I can join to expand my network. 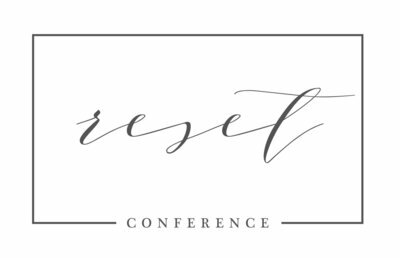 I’d love to bring someone along with me to next year’s Reset Conference! Morgan, we are incredibly inspired by you & your work. We’ve been oohing and ahhing over your work all day. You’re incredibly talented friend!